In September 1924, an article titled First Light on a Long-forgotten civilization: New Discoveries of an Unknown Prehistoric Past in India by John Marshall was published in the Illustrated London News. The article contained news about the excavations at Harappa and Mohenjo-daro along with a series of photographs. The magazine asked the readers to help in understanding the script and one of the responses came from an Assyriologist who wrote that the seals looked similar to the ones found at Susa, the capital of Elam. The proto-Elamite tablets were dated to the third millennium BCE and belonged to a civlization located in South-Western Iran. Now, like the Harappan script, the proto-Elamite script too has not been deciphered, but there have been few articles which suggest that there could be a breakthrough soon. They have new technology which helps them create reliable images. Some features of the writing system are already known. The scribes had loaned – or potentially shared – some signs from/with Mesopotamia, such as the numerical signs and their systems and signs for objects like sheep, goats, cereals and some others. Nevertheless, 80-90% of the signs remain undeciphered. These images are now available for you to look and decode. In his book, The Lost River, Michel Danino wrote the following about the Harappan civilization. Altogether, the area covered by this civilization was about 800,000 km2 : roughly one-fourth of today’s India, or if we can make comparisons with contemporary civilizations, ancient Egypt and Mesopotamia put together. This vast expanse must have offered unique opportunities as well as posed peculiar challenges — opportunities in terms of a wider choice of sources for raw materials and a richer store of human skill and experience; challenges arising from a greater diversity of regional cultures which had to be integrated , or at least coordinated, and the sheer extent of communication networks required to keep it all together. 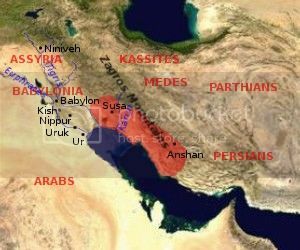 It turns out that the Harappans indeed took the challenge seriously and made sure that the script was uniform across this vast region. “Writing is an important window to the intellectual creativity of a civilisation. Our analysis reveals that people who designed the Indus script were intellectually creative and considerable time and effort went into designing it. The manner in which the signs were modified shows that it was acceptable across all the sites of the civilisation and was not intended for a small group of people,” said Nisha Yadav from TIFR, the principal author of the study. The Indus script is found on objects such as seals, copper tablets, ivory sticks, bronze implements and pottery from almost all sites of the civilisation. “The Indus civilisation was spread over an area of about a million square kilometres and yet, the sign list over the entire civilisation seems to be the same indicating that the signs, their meaning and their usage were agreed upon by people with large physical separation. A lot of thought, planning and utility issues must have been taken into consideration while designing these signs,” says the TIFR paper, published in the Korean journal, Scripta. When we talk about the Arabian Sea trading network, it usually is implied to mean the time from which the Europeans started sailing through the region. But as Manmadhan Ullatil pointed out in Hubs of the medieval trade, this trading network existed much before this period. In fact the ports along the coast of India and Africa were part of the trading network of the Old World. By studying the Prehistoric movement of plants and animals, we are able to reconstruct the trading patterns and speculate about the traders. In such a study, something interesting has turned up. Researchers looking into the domestication of banana found that it may have been initially done in New Guinea; wild bananas are found in South Asian rainforests. By looking at the banana phytoliths, it is now believed that bananas reached the Harappan region around 2000 BCE, before the decline of the civilization started and apparently were not used for eating. So what else could they have been used for? The paper says that it is possible that the Indus people used the fiber for making paper. Now if they made paper you would think that the next step would be to assume writing. But claiming that Indus people were literate would violate a lakshmana rekha. So the next line in this paper says that since few folks think that Indus people were illiterate, this could not have happened. Thus apparently, Indus people got bananas, did not eat them, made paper and threw them away. They could have done anything, except writing on it.